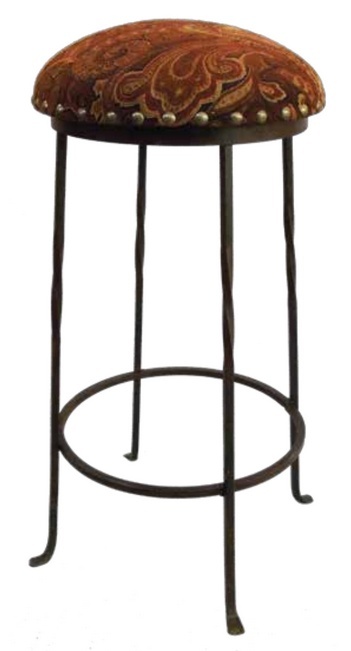 A bit of whimsy and lovely design combine to make this beautiful stool the perfect addition to your Mexican bar or counter. 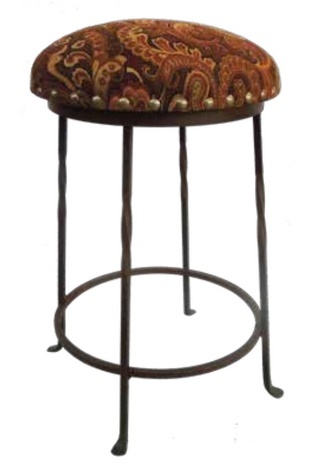 A bit of whimsy and lovely design combine to make this beautiful stool the perfect addition to your Mexican bar or counter. Sturdy paisley fabric upholstery in warming earth tones, curved wrought iron legs and hammered nailheads around the base of the seat. Available in 2 heights -- 24 or 30" in order to work with a bar or a counter.